It's finally happened! 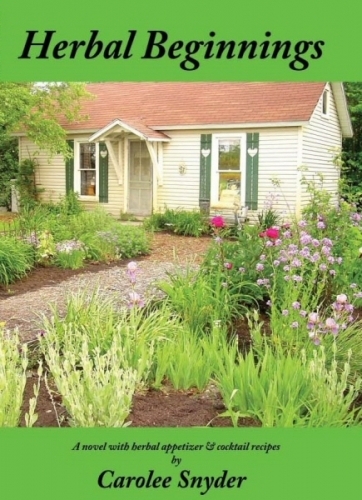 Carolee has completed her first book, nearly 500 pages of herbal and garden information woven through a fictional story. "Herbal Beginnings" tells not only Callie's story as she begins an herb farm in a new place, but also encourages and informs anyone who might be interested in growing or using herbs, the useful plants. It includes mystery, danger, garden lore, romance, and seventy original recipes for appetizers and cocktails using the plants from Callie's gardens. The book is receiving great reviews, and many people are purchasing additional copies for gifts, or for their local herb club or unit. If you would like the book inscribed to a specific person, please add a note indicating to whom the book should be autographed.